Our Mexico tours let you safely experience the diverse cultures and contrasting landscapes of Mexico as few tourists have the opportunity to do. 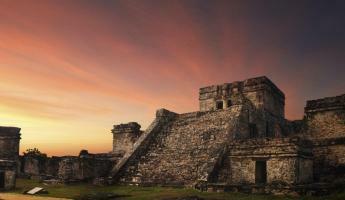 Explore the Mayan ruins of Chichen Itza, Tulum, Palenque, Coba, and Uxma, in the Yucatan Peninsula. Bike, hike and raft on a multisport adventure trip in Chiapas. Trek the Copper Canyon's alpine upper rims and descend to the tropical canyon floor. Experience Oaxaca's traditional indigenous culture and savor traditional dishes on an Oaxaca culinary tour. Take a small ship cruise to Baja Mexico and the Sea of Cortez for whale watching, kayaking and snorkeling. Contact one of Adventure Life's Mexico experts for help planning your perfect Mexico adventure. Enjoy 8 days in ancient Mexico, exploring several Mayan ruin sites, visiting haciendas, and touring cities in the Yucatan Peninsula of Mexico. You'll visit staple archaeological sites like Chichen Itza, Uxmal, Tulum, Sian Ka'an, and Edzna before departing to Cancun. Take a bike tour, learn about the region's history, and relax on pristine beaches! Enjoy an active exploration of Chiapas on this 9-day Mexico tour! Biking, hiking, and rafting are all included in this adventurous tour, as you experience first-hand the traditional cultures and history of this region. You'll visit Sumidero Canyon, Las Guacamayas, and the Lacandona Rainforest, plus stops at the Maya ruins of Bonampak and Palenque. 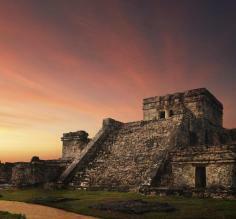 Embark on a seven day journey through the Maya Heartland in Chiapas, Mexico. Here you will learn about the traditions and beliefs of this ancient culture from modern day Maya cultural groups. Tour the Tonina & Palenque Maya ruins and visit Mishol-Ha Waterfall and Parque-Museo La Venta, en route from Tuxtla Gutierrez to Villahermosa. This 7-day Mexico tour explores the rich culture, history, and cuisine of Oaxaca. From Oaxaca City, visit local artisan villages, the Zapotek ruins, and authentic indigenous markets. Explore Mitla, the Tree of Tule, and Hierve el Agua, and visit workshops in a Zapotec village to learn traditional weaving practices. Explore Mexico's Copper Canyon from the upper rims to the depths of the canyons on this 8-day tour. Take the El Chepe train, trek through Copper Canyon, explore local villages, and learn about the history of this region. For non-hikers customize the itinerary to include a leisurely lodge-stay. All tours visit a historic mining town too! This active 10-day itinerary treks through Copper Canyon's upper rims and descends into the tropical canyons below. Stop at local villages along the way to see schools, churches and the local communities. Trekking Copper Canyon is ideal for travelers looking to explore the remote areas of Mexico abounding with wildlife. Taste your way through Oaxaca, Mexico on this 8-day culinary adventure. Visit local markets, attend cooking classes, explore local communities, and enjoy an authentic Oaxacan experience! 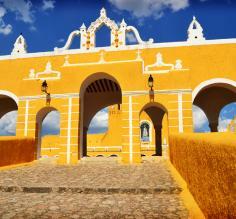 This relaxed vacation is a great introduction to the history and culture in Mexico. On this 4-day Mexico extension tour, learn to prepare Puebla's best delicacies and enjoy the fruits of your labor. You will tour local historical sites between meals on this culinary focused tour, including the ancient Aztec Great Pyramidal temple in Cholula. Hike and bike through Oaxaca, Mexico, on this 8-day journey, all while exploring the ancient ruins of Mitla, local artisan villages, and the Sierra Norte Mountains of the Oaxaca region. You'll get acquainted with local Zapotec communities that will teach you the age-old techniques of the folk arts of pottery and weaving. All aboard the El Chepe for this scenic ride through Copper Canyon. Be accompanied by your local guide through villages and explore the canyon itself on hikes. This itinerary is designed to give you flexibility to explore and arrange excursions and hikes locally. 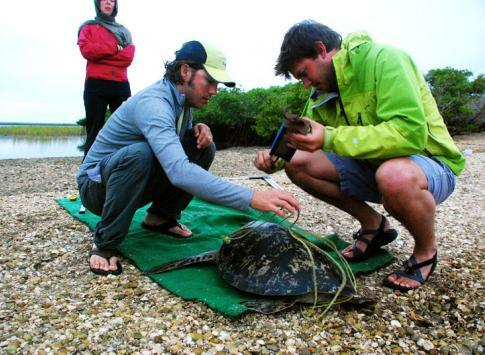 Of the five species of sea turtles found in the Baja region, all are unfortunately endangered! Travelers spend 5 days in Magdalena Bay’s mangrove canals working on a community project with Grupo Tortuguero on this trip. The unique group is a collection of former poachers who are now committed to conservation. Enjoy Mexico while also helping preserve its natural treasures. 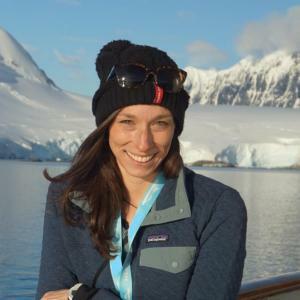 Adventure Life's Baja Mexico cruise experts pick their favorite small cruise ships for exploring the wilderness of Baja Mexico and the Cortez Sea. National Geogrphic's Sea Lion - explore the wildlife and natural landscapes of Baja, Mexico while whale watching, birding and snorkelling on this upscale wilderness cruise. National Geographic's Sea Bird is the sister ship of the Sea Lion is a luxurious small ship of 62 passengers ideal for exploring areas of Baja and the Cortez Sea inaccessible by large cruise ships. Safari Endeavour is a newly refurbished 84-guest yacht-style ship whose ambiance is casual elegance with a full menu of upscale amenities including an onboard spa. Sail the Safari Endeavour on our "Baja Whale Bounty Cruise" for an exceptional whale watching experience at an affordable price. 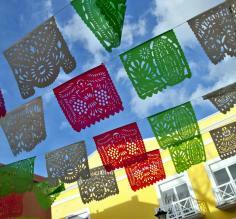 Mexico boasts a variety of things to see and do! 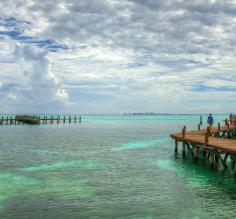 Just a few of these include Caribbean beaches, Maya ruins, colonial cities, and delicious cuisine. There is truly something for any style of traveler. Explore this beautiful country that is full of history, unique culture and mysterious legend. From Mexican Independence Day to Our Lady of Guadalupe, learn more about some of Mexico's most vibrant and celebrated festivals. These colorful events are incredible ways to get a glimpse of the culture, family dynamics, and national pride. Participating alongside the local people will definitely be a highlight of any trip to this country! Planning a trip to Mexico is sure to result in questions. Our FAQ answers many of the most common ones that we consistently get from travelers. From packing suggestions to what the food is like, these details will help you feel better prepared for your Mexico tour! A trip to Mexico would seem incomplete without some time spent on its gorgeous beaches! This general overview gives travelers insight into some of the most popular, and even some hidden, beach options. 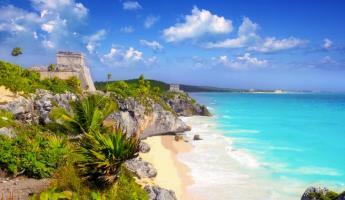 Discover which beaches you might want to include on your Mexico vacation. The Conway Family Does Baja! Your passport must be valid at the time of entry into Mexico, however you do not need a visa. It's recommended that you have a validity several months beyond your trip dates. Is tipping customary in Mexico? It is always your decision whether or not you want to tip, but tourism in Mexico has made it somewhat of an expectation. Ten to twenty percent is generally an appropriate amount to tip for good to great service, just like in the US. You can tip your guides, servers, and anyone else who facilitates an enjoyable experience for you. What is internet access like in Mexico? While internet access is fairly ubiquitous in the more developed areas of Mexico, our tours and cruises often visit the isolated parts of the country, where there isn't any signal. Most of the hotels will offer at least an internet connection in a business center if not high speed wireless in the rooms; ships do not always have internet connections. Mexico does have Movistar, Telcel, and AT&T, which allow you to buy a SIM chip and put it in your smartphone (as long as it is unlocked), but it's better to just disconnect and use your vacation to forget about the worries of home. You do not need a power adapter or converter in Mexico as long as your devices use two-prong North American style plugs with 110v power. What are the toilets like in Mexico? While many parts of the Mexican backcountry and underdeveloped areas do not have flushing toilets, but rather outhouses, the sites and areas that we visit all feature modern western flushing toilets. In more isolated areas on day-trips, you might only have access to a latrine. After using the toilet paper, it should be thrown in the waste basket next to the toilet and not in the bowl itself. Can I drink the water in Mexico? The tap water in Mexico is not potable, meaning that you cannot drink it. Stick with the bottles of purified water that will always be available to you. Are credit cards accepted in Mexico? Will I be able to find ATMs? It's very common to use cards to pay in Mexico, but if you are buying from a street vendor or a small business or artisan, they will probably only accept cash. Bear in mind that your vacation is all-inclusive but anything like alcohol or souvenirs must be purchased separately. You should absolutely purchase travel insurance - a small investment now could mean big savings if the unexpected happens. Check out some great deals on the My Trips page.